I've got another new exciting opportunity for you this month. 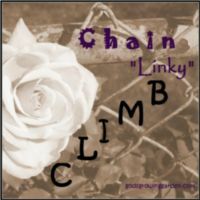 & her Chain "Linky" Climb. So you see - Networking really does work!!! 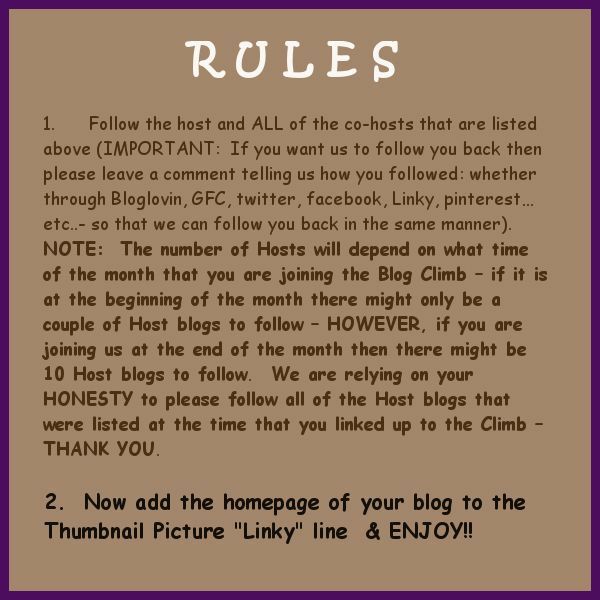 To celebrate my little sister's birthday there will be a special "twitter boost" during this month's CLIMB. A "Twitter boost" means that on the date of my sister's birthday (Sometime in August - I'm not telling you that date ahead of time hehehehe) - I will promote each blog on twitter that has linked up to the CLIMB by that date (in other words - I will send out 1 tweet per blog on that special day). So link up early in the month!! 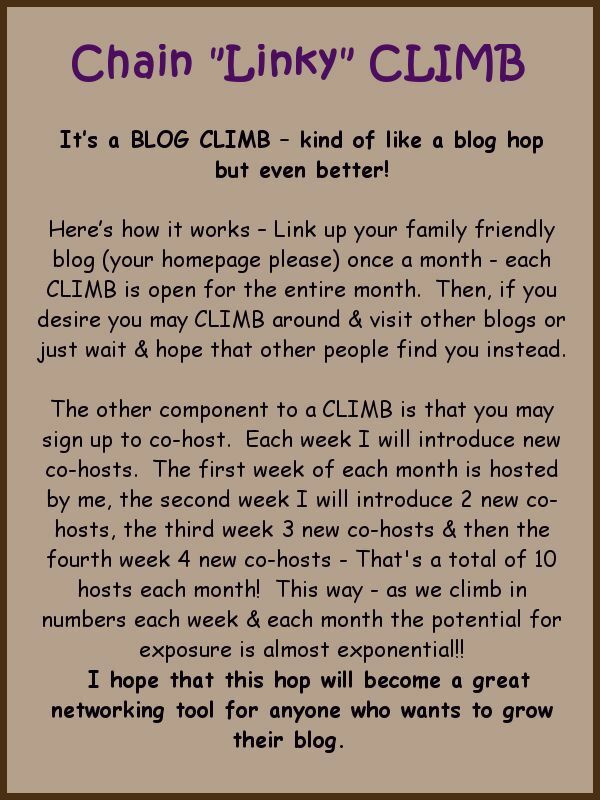 The Host - Angie from godsgrowinggarden.com will be giving a FREE "Weekly Ad" space to anyone who co-hosts this Blog Climb ! I'm so glad to have you as a co-host!! Thanks ever so much for the chance to join in!